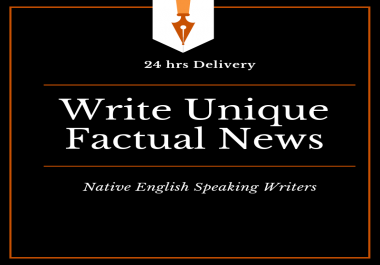 I will provide short one short article of 1 article of 300 words each at this price. You can use it for promoting services for SEO, Social Media, Internet Marketing, Health and Fitness, Self Improvement, Dating, Relationship, Travel, Beauty and more. You can also get these as your social media posts or link building purpose. Also, it can serve you as a very good small content for any purpose you like. This is limited time offer just to offer trials to clients at low rates. 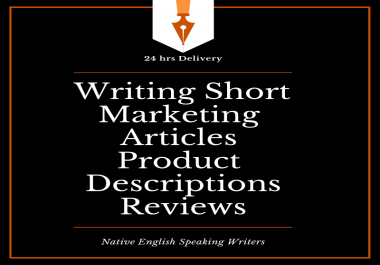 It is suitable for short marketing articles, short product descriptions, product reviews and more. This service is for only writing, don't ask for posting anything. Get guaranteed original content at low rates!